Feather and skin picking is a serious problem behavior exhibited by chickens under stress. 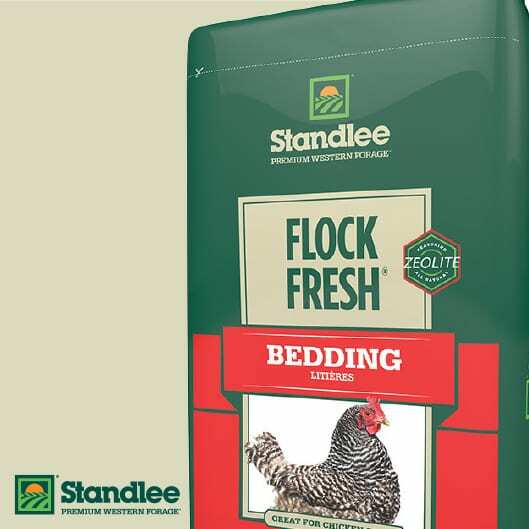 If the stress is not identified and alleviated, feather picking can degenerate into a flock-wide problem with deadly results. Chickens learn picking behavior from each other, so ending unwanted picking as soon as it begins is critical to avoiding a bloody epidemic. Once the cause of the stress is determined, it’s usually fairly easy to stop the picking by making minor adjustments in the flock. 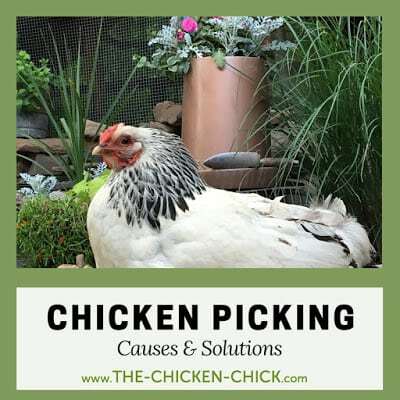 So, let’s take a look at chicken picking risk factors, prevention and solutions. 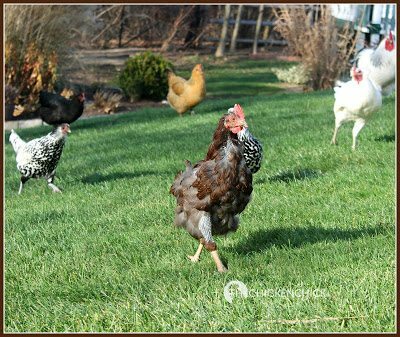 A chicken is naturally inclined to forage for food by scratching and pecking at the ground. When too many chickens occupy too small a space, pecking opportunities are limited and chickens get on each other’s nerves. Aggression can result from overcrowding which leads to feather picking and cannibalism. Birds without adequate personal space will also begin picking at novelties on one another such as a fleck of dirt, a feather shaft, or an insect. Innocent exploration very easily results in small skin wounds. Chickens are drawn to the sight and salty flavor of blood and one small skin wound can quickly become life-threatening injuries inflicted by many chickens. By nature, chickens are cannibalistic- they can and will kill another chicken. Ample space essential to happy, healthy chickens. 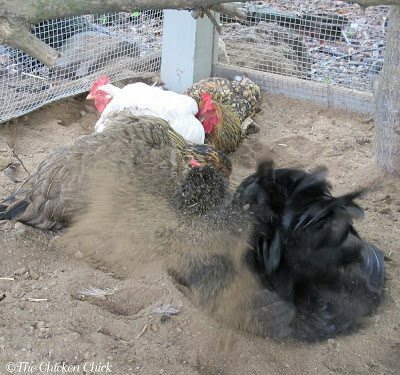 When too many chickens occupy too small a space, the natural inclination to peck and scratch the ground is limited, which can result in aggression and impulsive picking of feathers and skin. Small skin wounds can become life-threatening injuries. The bare minimum living space for a day old chick is 6 square inches. Visualize an 8.5” x 11” piece of paper and allow at least that much space for 2 brand spankin’ new baby chicks. Increase the size of the brooder as chicks increase in size. Read about building a chick condo that expands as chicks do, here. Introduce novelties and boredom-buster type activities to chicks such as a sand box for dust bathing, a roosting bar, a shatter-proof mirror, or hanging treats for pecking, but resist the temptation to rely on treats for regular entertainment- theirs and yours. *Safety notes: neither a feather duster nor string should be used in a brooder due to the risk of entanglement and ingestion. Always offer chicks grit to aid in the digestion of fibrous treats. 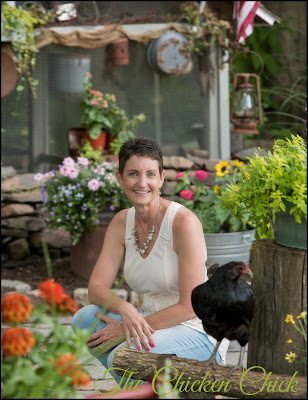 For older birds, the minimum living space inside the coop is 4 square feet per bird and 10 square feet inside a closed chicken run. 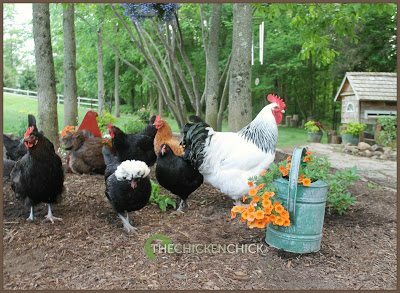 If chickens are confined primarily to the coop and run daily, a much greater space allowance must be made to avoid boredom and feather picking. Chickens that are deficient in protein, sodium and/or other dietary essentials can resort to picking. 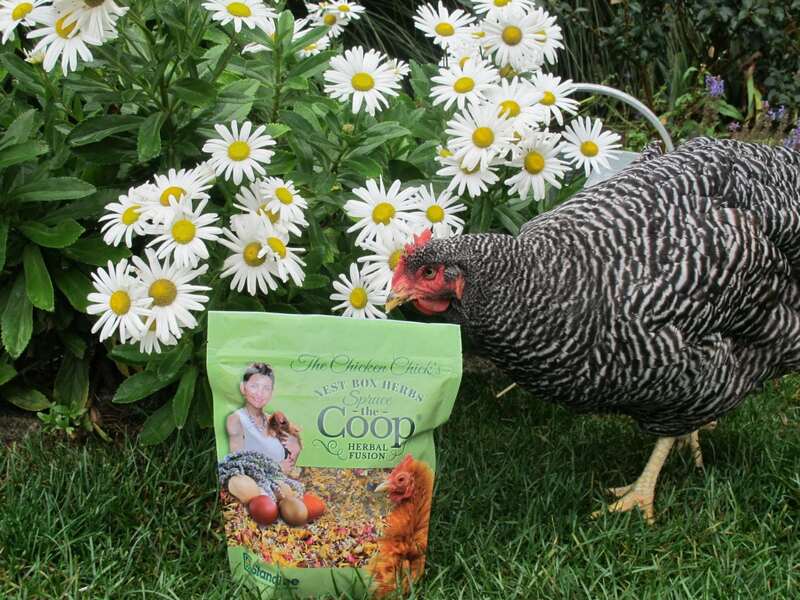 Feeding chickens too many treats can interfere with their daily nutritional requirements. 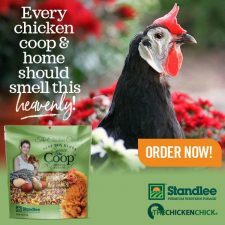 Provide an age-appropriate, nutritionally complete chicken feed and limit treats/snacks/extras- even healthy choices– to no more than 5% of their total daily diet. 15 Minute Rule: Any treats that have not been consumed within 15 minutes should be cleaned up and disposed of so as not to dilute the complete nutrition in their feed. Chickens that are deficient in protein, sodium and/or other dietary essentials will seek out sources of the lacking nutrient(s) to satisfy their dietary needs. The deficiency can cause a chicken to peck excessively at their own preening gland, the feathers around it and feathers of other birds. Protein-deficient birds may pick and eat feathers. Feeding chickens too many treats/snacks/fruits/ veggies/kitchen scraps can interfere with daily nutritional requirements, causing aggression and problem picking behaviors. This is the preening gland, located at the base of the tail feathers. 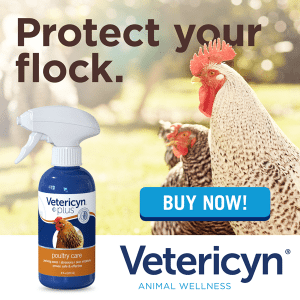 Oil in the gland is salty & hens will over-work the gland when deficient in certain nutrients. 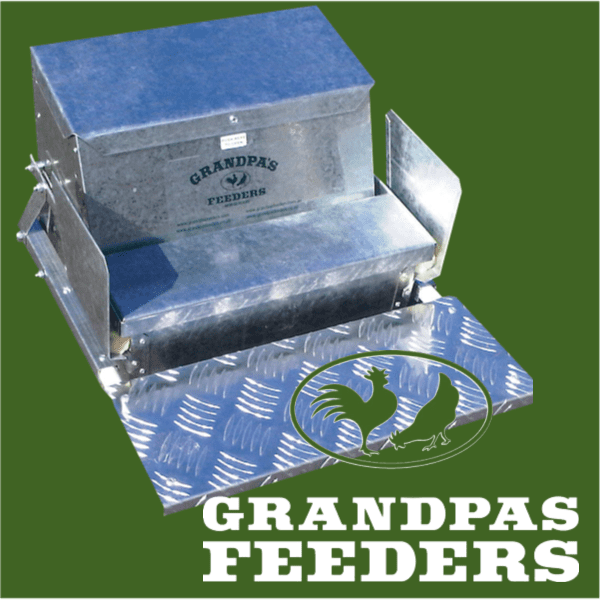 Provide a nutritionally complete feed appropriate for the age of the bird. 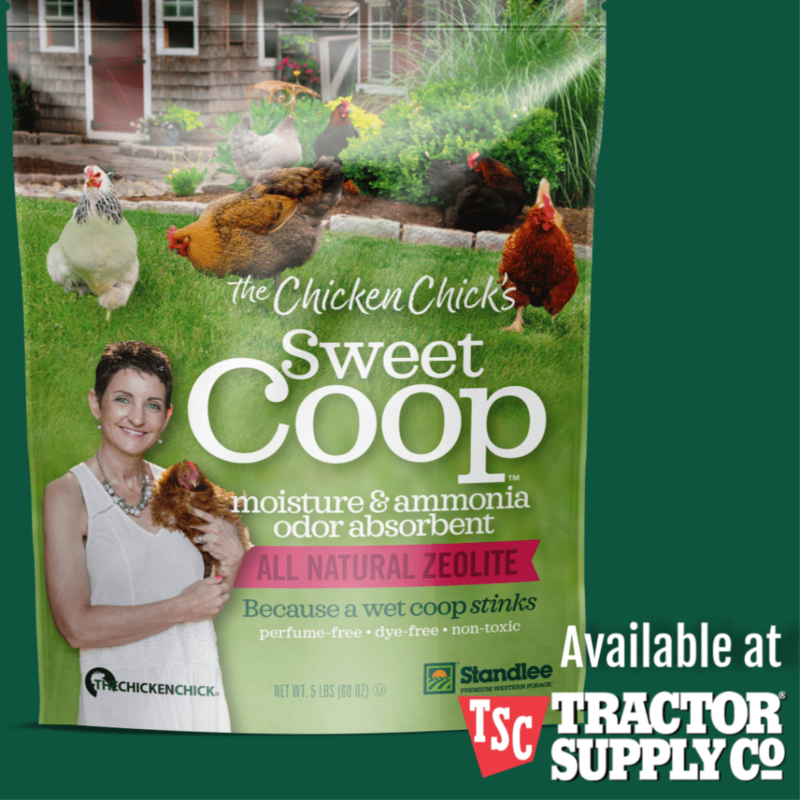 No more than 5% of a chicken’s daily diet should consist of extras other than chicken feed. Obesity is a major problem in backyard laying hens, but nutritional deficiencies can cause other health and behavior problems and cut lives short. 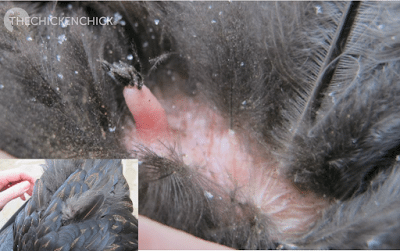 Molting is the natural, regular shedding of old feathers and growth of new ones, which is frequently accompanied by the presence of bald areas of skin. 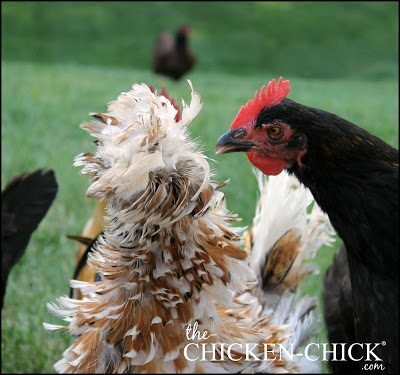 While molting occurs at fairly regular intervals for each chicken, and ordinarily begins as daylight hours shorten at the end of summer, it can occur at any time due to lack of water, food, or sudden change in normal lighting conditions. 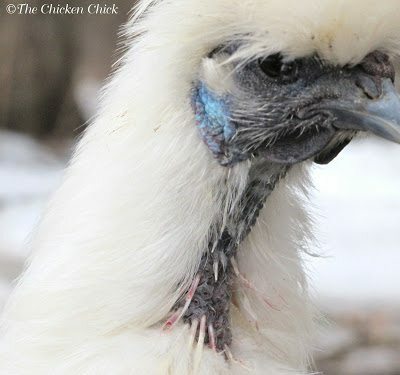 Molting occurs in a predictable order beginning at the head and neck, proceeding down the back, breast, wings and tail. 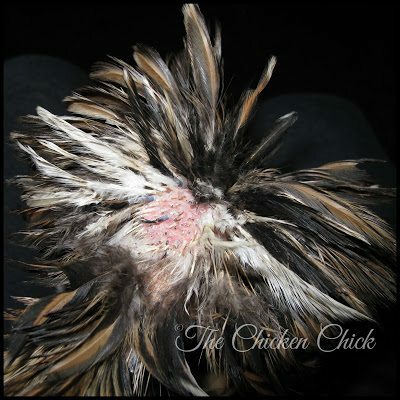 Chickens are vulnerable to pecking during a period of feather re-growth due to the visible presence of blood in the newly emerging pin feathers. 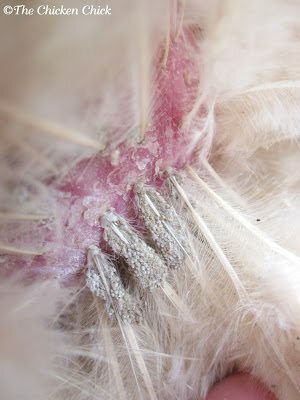 Emerging pin feathers contain a blood-filled vein that can attract unwanted attention from other birds. 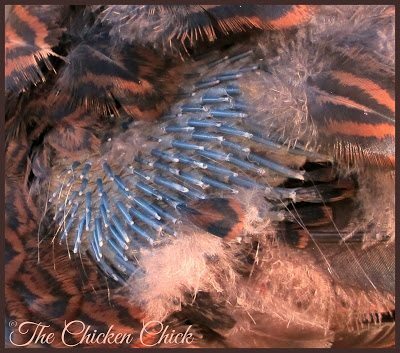 Be on the lookout for broken pin feathers during a molt and immediately separate any bird with damaged or bleeding pin feathers from the flock to prevent further injury. Freida is just re-growing feathers after a period of broodiness. Someone had been picking at her pin feathers as evidenced by the broken feather shafts and blood. 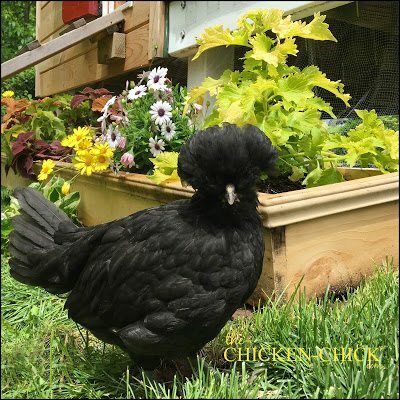 Breeds with fancy head feathers (Polish, Silkies, Houdans, etc.) are at increased risk for having their head feathers picked by other birds especially when the feathers get wet or the bird is molting. Putting crest feathers in a ponytail on top of the head sometimes works to cover bald spots, hide pin feathers and to hide the scalp. Trimming feathers around the eyes can improve the bird’s ability to see trouble coming and get out of the way of flockmates’ busy beaks. Read more about caring for crested breeds here. Broody hens tend to molt furiously after a period of broodiness when she returns to normal eating and drinking routines and her hormones return to normal levels. 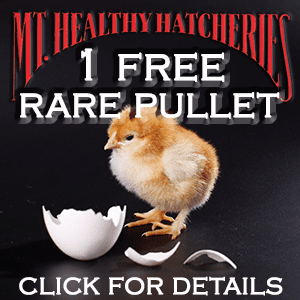 Break up broody hens that will not be permitted to hatch eggs to stop the hormone roller-coaster and prevent a prolonged interruption in normal eating, drinking and elimination routines. 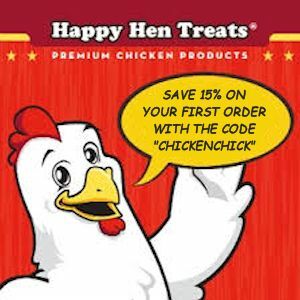 After a hen has hatched chicks, feed her and her chicks starter ration, which will help supply her with the higher protein needed for feather production. The Broody Breaker: a temporary, wire-bottomed housing unit that discourages broodiness. Just as with children, bored chickens will get into mischief. 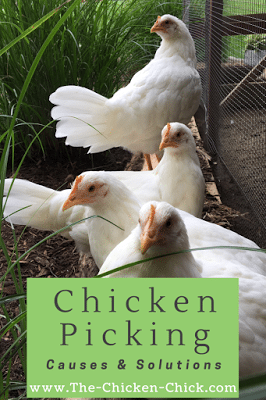 Chickens that are confined primarily to the coop and run daily are more inclined to begin feather picking out of boredom and curiosity than free-range chickens. 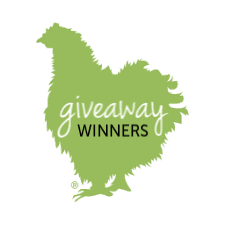 Free-range chickens seldom run into trouble with boredom, but when inclement weather prohibits free-ranging, boredom-busting activities can be offered. Chickens kept on a restricted feeding program vs free-feeding regimen may become bored in between feedings, leading to feather picking and problem pecking. 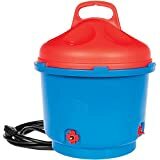 Free-feed chickens instead of timed feedings. 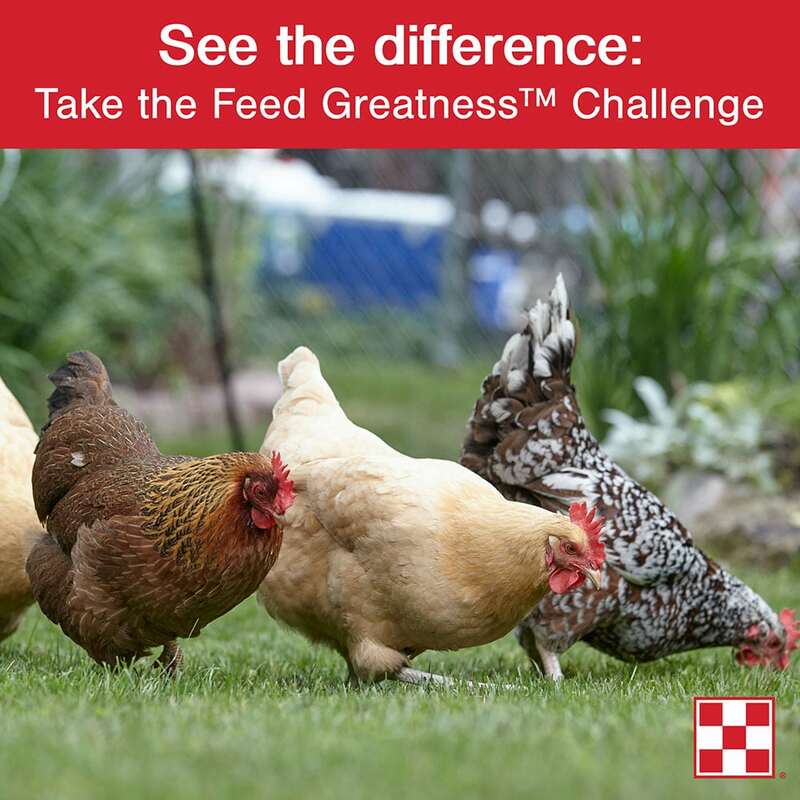 Being allowed to pick up small amounts of feed often throughout the day eliminates competition for feed and provides an activity with a purpose. 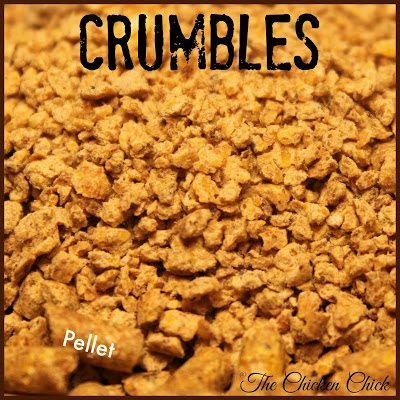 Provide feed in crumbles form instead of pellets to extend the amount of time birds spend procuring feed to satisfy their appetites. Treats or snacks can be employed as an occasional distraction, but should not be relied upon as a primary form of entertainment. 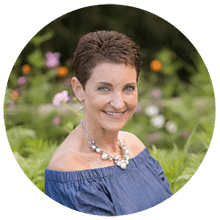 No more than 2 tablespoons of any given dietary extra (treats, snacks, veggies, fruits, etc) and not every day. Introduce boredom-buster type activities that offer exercise opportunities. 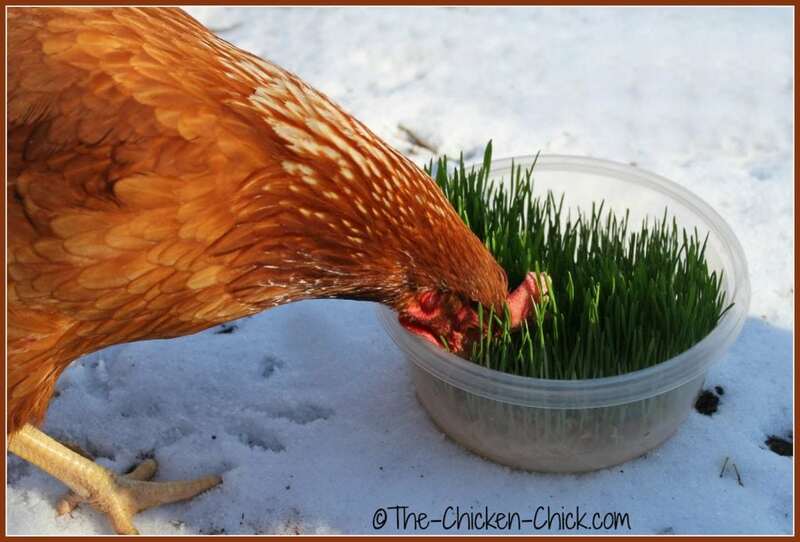 Growing sprouts is a great way to create a foraging opportunity for chickens. 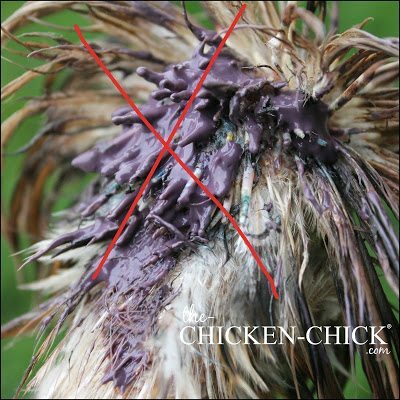 Mites and poultry lice damage the feathers and skin of chickens. Irritation from mites and lice causes a bird to pick their own feathers and skin to obtain relief. 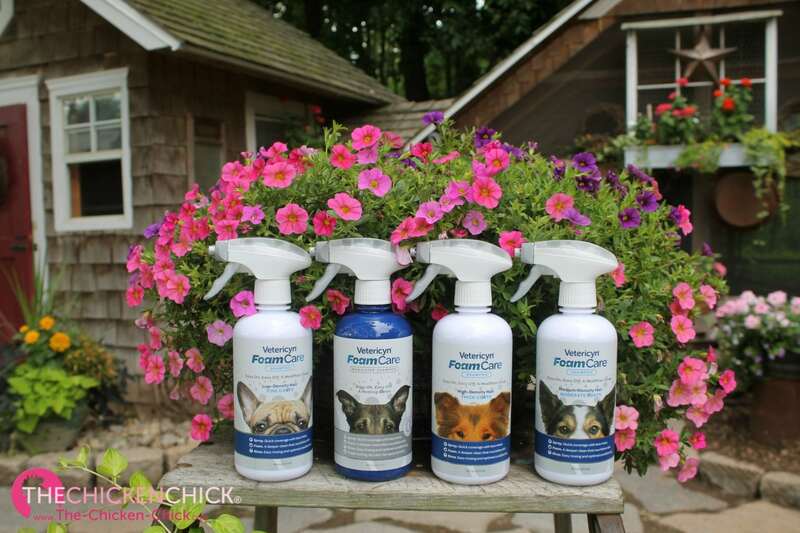 Monitor the skin and feather health of birds routinely for external parasites. 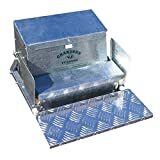 Provide dust bathing areas for birds to maintain the health and appearance of their skin and feathers. 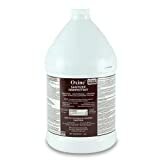 Loose sand or dirt are sufficient for dust bathing purposes- no additives are required or recommended. 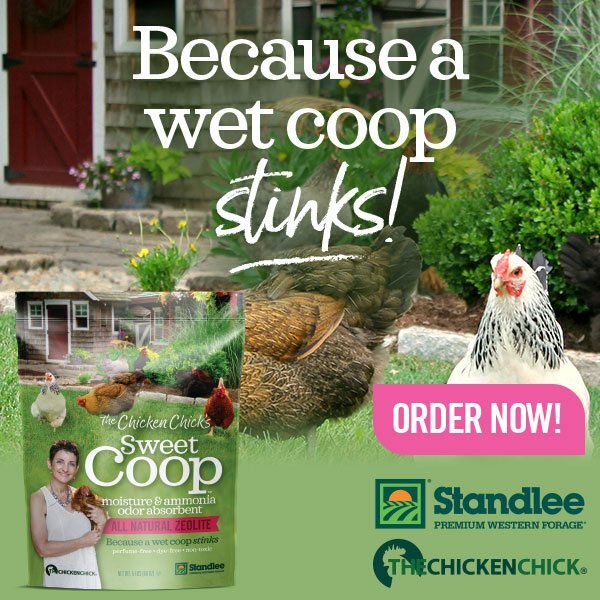 Treat all birds and coop when an infestation is discovered. Hens will fight over nest box space, using their beaks to express their preferences. A shortage of nest boxes can result in problem picking and injuries. When a hen lays an egg, her cloaca becomes visible as it escorts the egg out of her body. The sight of a red, moist cloaca can attract curious flock members who naturally investigate by pecking the area. 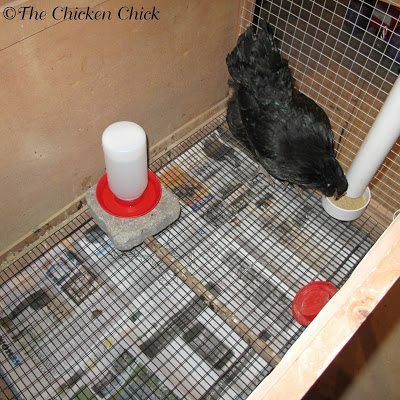 Make available one nest box for every four hens in a flock. 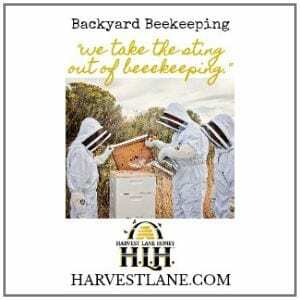 Keep the nesting area dimly lit and private. 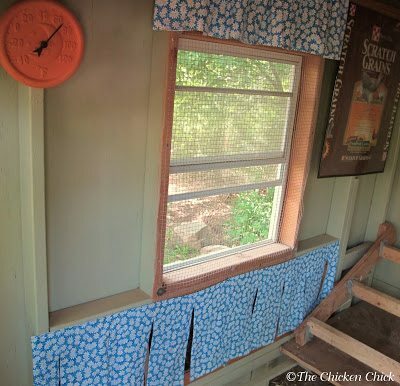 Hang nest box curtains to ensure privacy, reduce stress and keep the cloaca from public view during egg-laying. Egg laying is a particularly vulnerable time for hens. Nest box curtains provide privacy and safety. 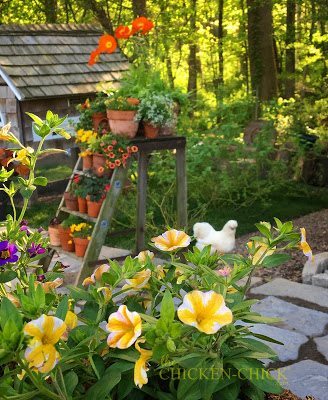 Just as people can become irritable and prickly in the heat, so too can chickens. Chicks in brooders are frequently overheated by the use of heat lamps, which increases the risk of aggression and picking behaviors. 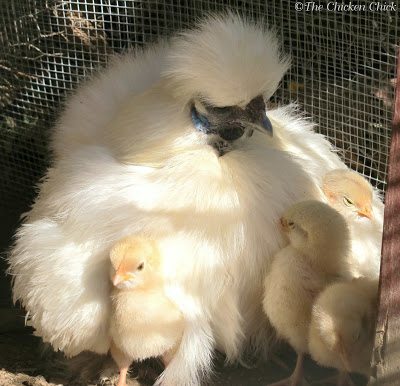 One solution is to provide a large enough brooder to permit chicks to escape the heat when needed and monitor the brooder temperature at both ends of the brooder with thermometers. A better solution is to use a radiant heat source for keeping chicks warm, avoiding any possibility of overheating (and fire) entirely. 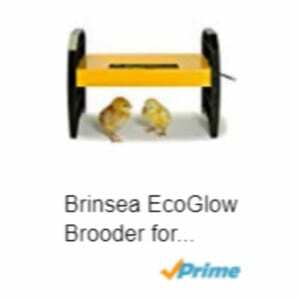 Brinsea EcoGlow brooders are one such radiant heat option. Lights that are too bright or that are kept on too long can cause stress, agitation, aggression and picking. Brooder lamps are the main offender in the Bad Light Department. 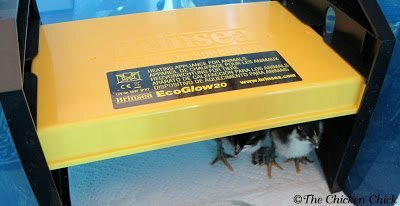 Chicks that must use brooder heat lights should be provided with a spacious brooder so they can escape the heat when it’s too much for them. When using a heat lamp, brooder temperatures should be closely monitored, the chicks’ comfort levels gauged carefully and heat lamp use discontinued as soon as possible. 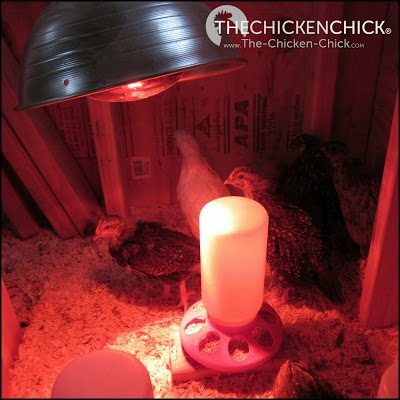 Begin raising heat lamps after the first several days of chicks’ lives. Quiet chicks are content and warm enough. Noisily cheeping chicks are discontent and likely cold. Remove heat lamps entirely as soon as chicks no longer object to living without them. Limit the number of light hours per day to 16 for chickens of all ages. Never leave a nightlight on inside the chicken coop. Chickens must have 8 hours of complete darkness in each 24 hour period. Radiant brooder heat sources do not generate light and are much healthier, safer and more energy efficient than heat lamps. 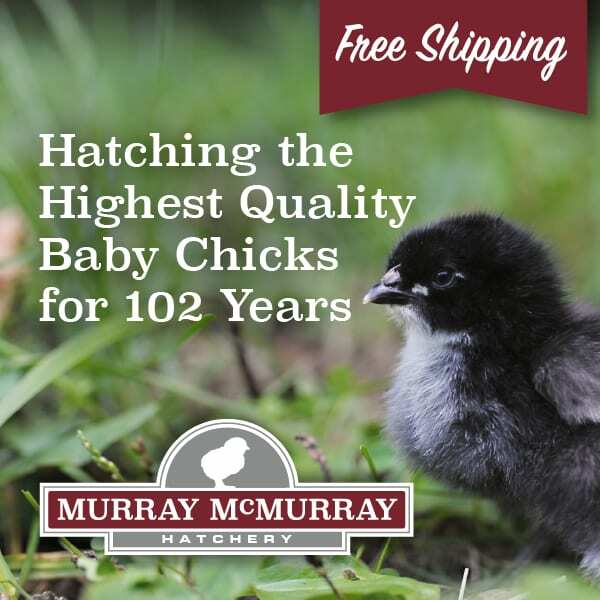 Radiant heat sources allow chicks to benefit from natural diurnal sleep-wake cycles, which we all require to be healthy. Much more about the dangers of heat lamps and benefits of the radiant heat sources in this article. Chickens do not manage change well. To the extent possible, limit interruptions in the flock’s routine and make any necessary changes gradually. Expect stress and keep an eye out for picking behabiors whenever there is a housing change, a drastic weather event, a predator attack, new flock members are introduced, and after the loss of a flock member. Whenever a bird receives a picking injury, they must be housed separately from the flock to avoid further harm. Once removed to safety, wounds should be cleaned and monitored for infection. Much more information about caring for injured chickens at this link. Chicks will protest loudly when removed from their flockmates’ company and re-introduction back into the flock without conflict will be extremely difficult if they are kept out of sight from flockmates. 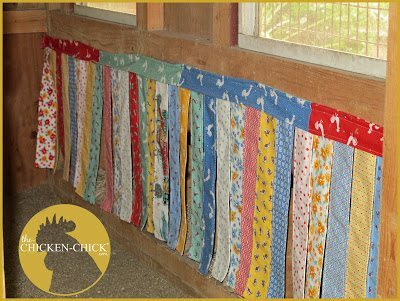 I recommend separating chicks by window screening or hardware cloth within the brooder to reduce these challenges. Once the injury has healed, re-integration is as simple as opening the “door” between the birds. 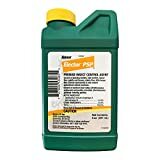 JUST SAY “NO” TO COLORED ANTI-PICK PRODUCTS! I do not recommend products that tint the skin and feathers blue or purple for several reasons. Coloring the wound does not cover it up or conceal it from flockmates, in fact, the opposite is true! 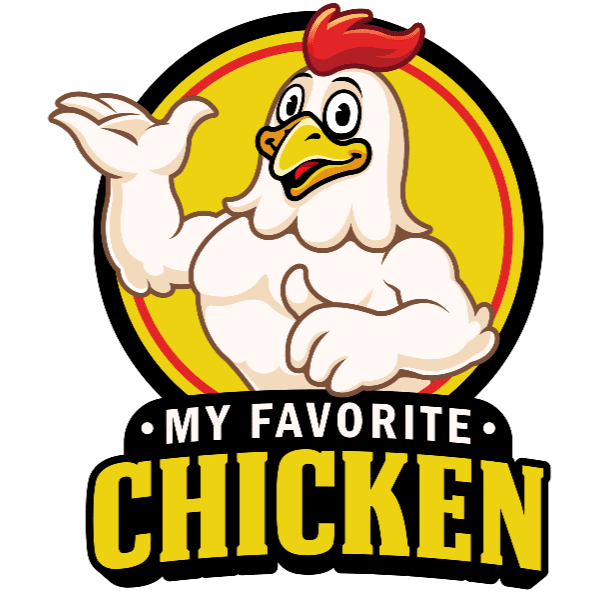 Chickens have superior color vision- better color vision than humans, in fact, and a novel colored goo or spray on another chicken’s body draws unwanted attention to the area, inviting exploration and problem picking! Further, the main ingredient of most cover-up products is alcohol, which burns like the surface of the sun on an open wound. Finally, colored wound care dyes impede the ability to detect the first sign of infection, which is redness. 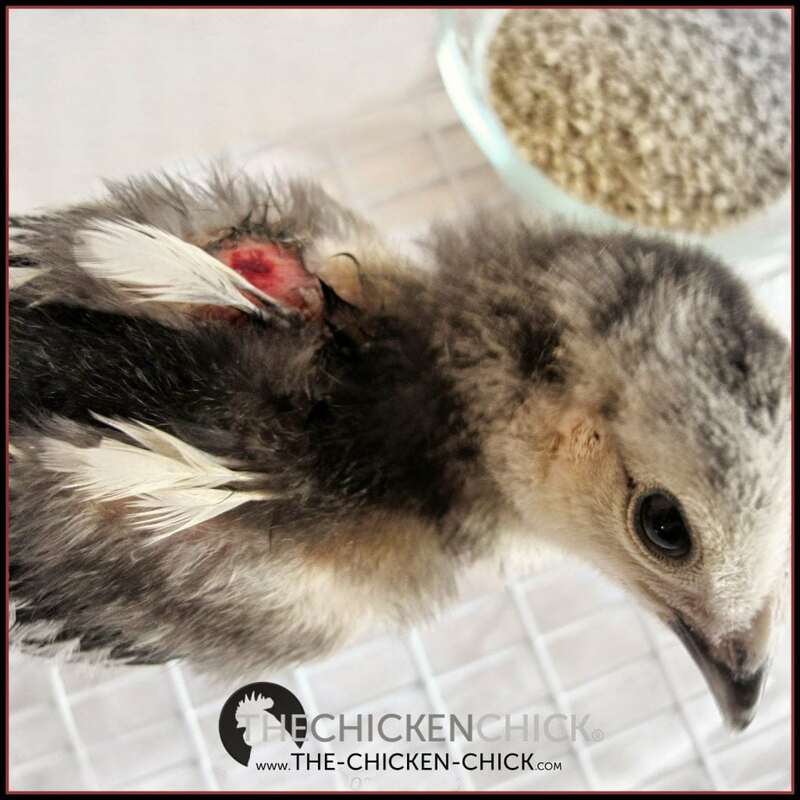 Injured birds should be removed from the flock and proper wound care administered until complete healing has occurred. Some chicks resort to self-destructive picking as my Columbian Wyandotte, Lola did. The challenge with self-pickers is not only separating them from other chicks, but preventing them from continuing to harm themselves. Necessity being the mother of Invention, I fashioned a Cone of Shame for Lola out of a paper bathroom cup, which worked like a charm! 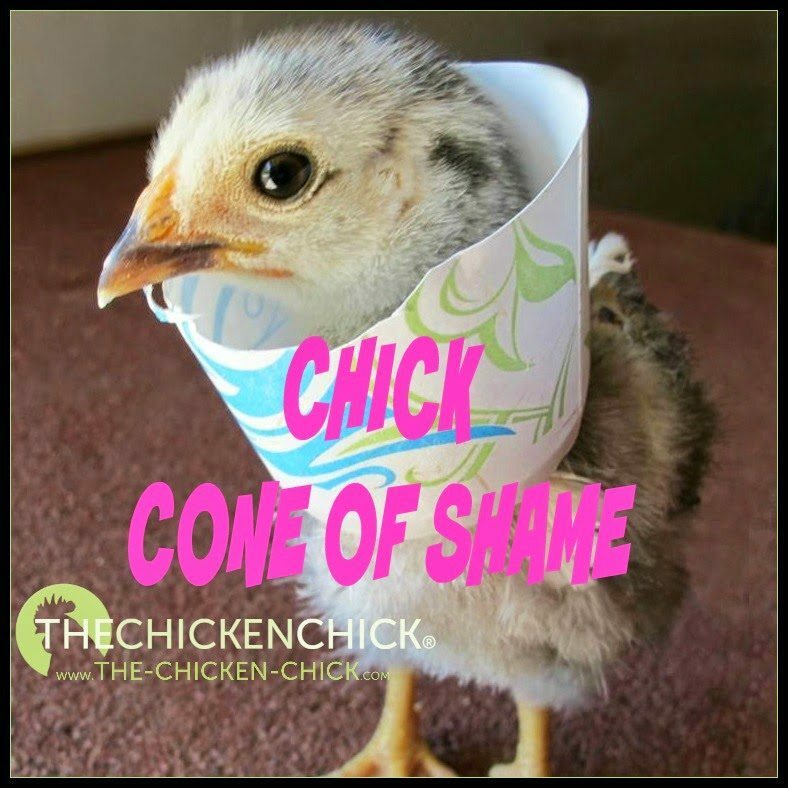 There were a few iterations of the Chick Cone of Shame, but once I got it trimmed to a point where she could eat and drink without interference, it took just a few days for her to heal completely! I have a hen who goes out of her way to peck my BP hen. They have space, food, water, nothings changed, etc. The BP hen isn’t doing anything to provoke these attacks, she sleeps on the poop board rather than getting up on the roost. 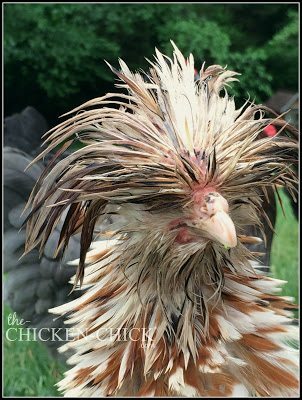 When I went into the coop tonight, her comb had been repeatedly pecked as well as a little around her eye. I will remove her tomorrow but I’m afraid we will have this same issues when she returns. Should I remove the bully hen for a while?